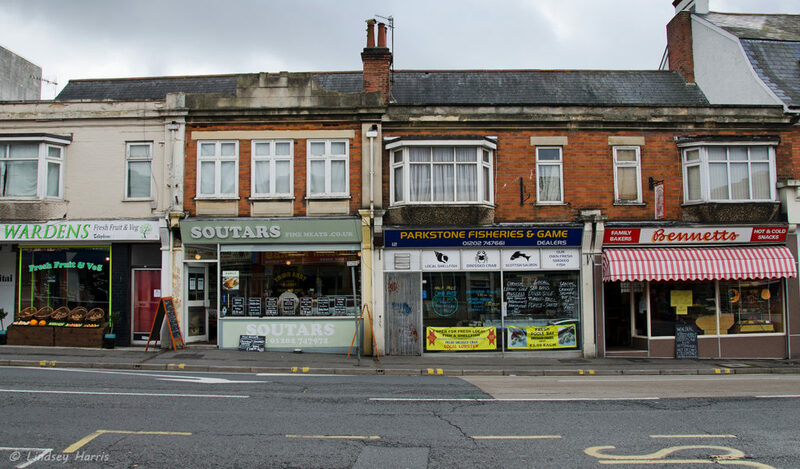 A rare sight… a greengrocer, butcher, fishmonger and baker all adjacent to one another – Bournemouth Road, Lower Parkstone, Poole, Dorset. Lower Parkstone photos (above) taken in November 2013. The greengrocer’s shop has now closed. 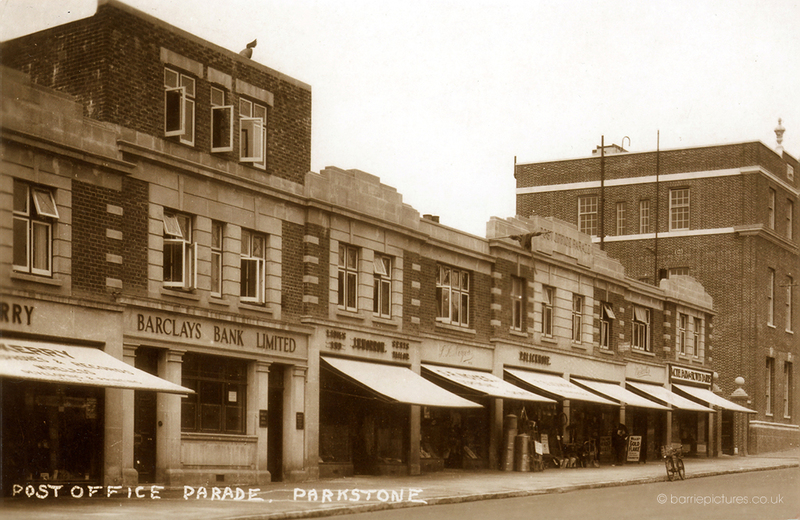 Parr Street, Lower Parkstone, Poole. March 2015. 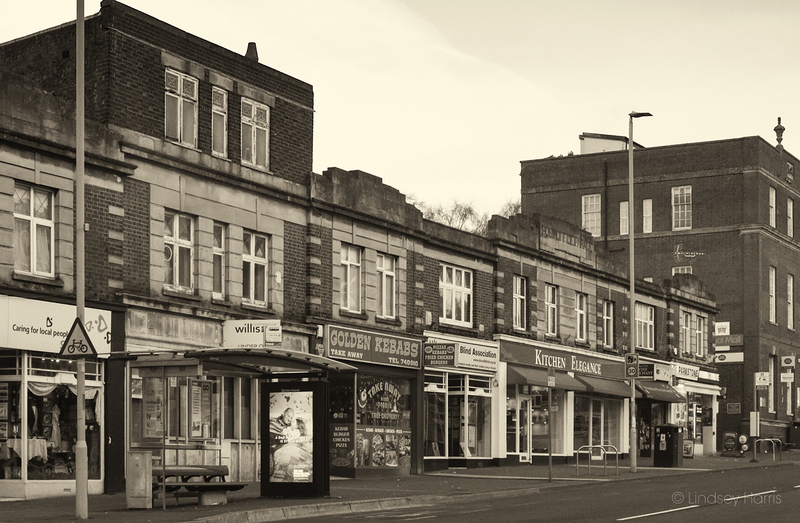 Since the end of 2012 I’ve been undertaking a photographic project that documents the various businesses of Lower Parkstone in Poole, Dorset – a ‘snapshot in time’. 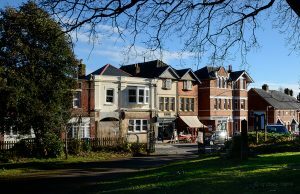 If you have a business in Lower Parkstone that has a ‘public face’ (in other words, I can’t include people who work from home somewhere in Lower Parkstone) and you want to be included, please contact me for more information. It is free to take part and you get your own page on my website, just like the businesses featured below. *Please note: the photos on your page will show you and your business at the particular time of taking of the photos. That means I will not be updating or deleting them because they capture a moment in time, which is what this project is all about. However, I am happy to update your business’ opening hours, contact details etc. (e.g. website, email, telephone number) if they change. At the end of the Lower Parkstone Photographic Project there will be an exhibition, hopefully in Lower Parkstone itself, of the best and most interesting photos. I hope this will be in 2019, meaning that the Project will have spanned over six years during which time there has been a lot of change, with new businesses opening up and some closing down. Read an article on the Lower Parkstone Photographic Project in the December 2013 issue of ‘Parkstone Matters’. N.B. I own the copyright of all photos on this website (apart from the Lower Parkstone photos from @1910 and @1930) and therefore my permission is required to use any of them. BH13 Construction Project Managers Ltd. The Britannia Pub (The Brit) (2017 – CLOSED). Now Maison Sax. Trumeau Antiques – NO LONGER TRADING – PHOTOS FROM 2013.